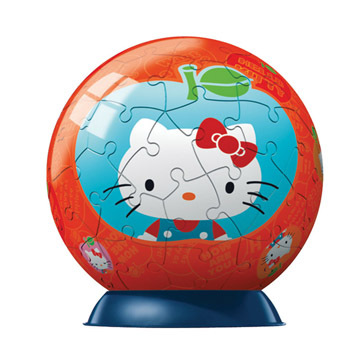 Ravensburger 09540 - The 60 perfectly crafted, curved puzzle pieces allow for an exact fit and are easily assembled together to form a solid, smooth ball which would be a wonderful decoration for your room or a gift to give to your friends. Includes Base Stand & Accessories Shown. Measures 3� diameter. Recommended for 8 years and up.